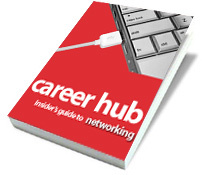 We're thrilled to announce the release of our fourth free eBook - "The Insider's Guide to Networking" features 70 pages of advice from some of the country's leading careers experts. The topic of networking is one that I know is of great interest to many of our readers, so I asked our experts to give readers their best advice for networking success. The answers are varied, interesting and sometimes surprising. 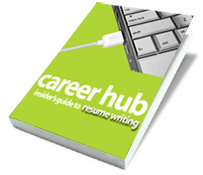 If you don't have our earlier eBooks, you're missing out on similarly great advice about resume writing, interviewing and job search strategies. All these great eBooks are available without email sign-up. Simply download the PDFs and start reading! And to stay regularly updated with all the best in career advice, bookmark this site, sign up for our RSS feed, or have the articles sent directly to your email box. Expert advice on how to network successfully - subjects include advice on networking for introverts, tips on what NOT to do when networking, hints on using the Internet for interviewing and strategies for maintaining an active network once you secure your next position. Expert advice on how to succeed in interviews - topics covered include effective interview planning, tips on taking control of the interview situation, advice on closing, and best approaches to salary negotiation. In this book, our experts tackle all aspects of effective resume writing, including defining your branded value proposition, the value of story-telling, the secret ingredient of context, common resume mistakes, and how you can go beyond the resume in your career marketing. This is the first book in our Insider's Guide series. From determining career direction, through resume writing to networking and interview skills, each of our experts provides real-world strategies for job search success.